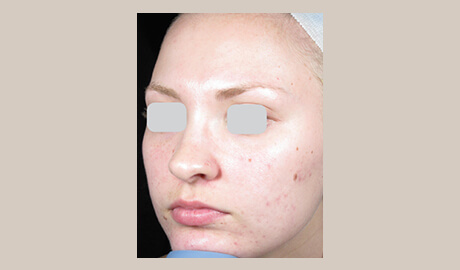 Why Treat Acne with IPL? 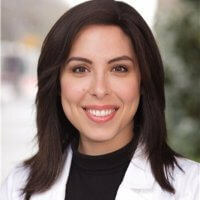 "My go-to treatments are chemical peels and Intense Pulsed Light. 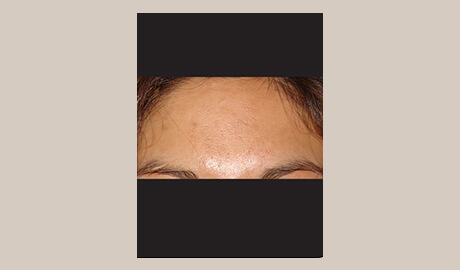 We actually have three IPLs but my favorite for acne, by far, is the Lumenis M22™ because it is the only one with a special Acne application. I often prefer IPL over a chemical peel because it not only calms the acne, but also reduces any redness in old acne scars." 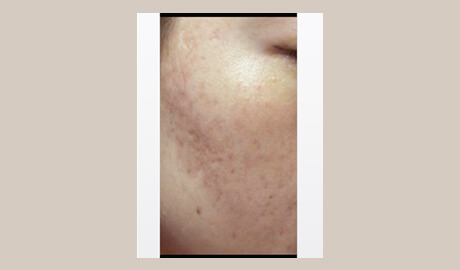 The Lumenis® IPL (Intense Pulsed Light) Acne treatment enables your physician to greatly improve your skin appearance, reduce your acne, while at the same time treat the redness and pigmentation of your skin. The unique Lumenis® IPL technology utilizes light flashes over the treated area, triggering biochemical response that will eventually kill the bacteria within the pores. 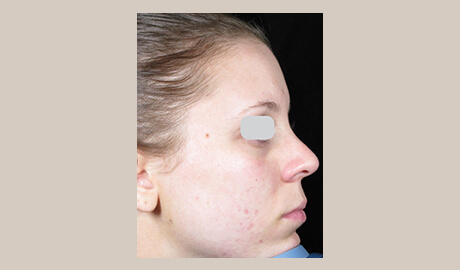 IPL is a non-invasive solution on inflammatory acne with less collateral effects than oral medication. Lumenis® energy-based treatments are not suitable for everyone and carry some risks. IPL for acne is not suitable when you have active viral or fungal skin conditions or skin cancer. Risks may include: redness, swelling and change of pigmentation. Be sure to consult with your treatment provider before choosing this treatment. 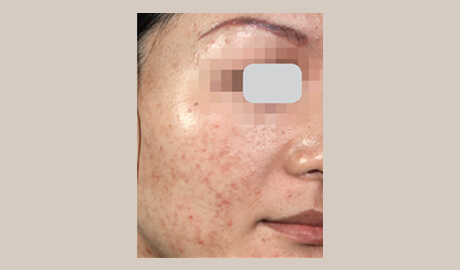 During the Lumenis® IPL Acne treatment, short pulses of intense light are emit­ted from an appli­ca­tor onto your skin. The light penetrates through various skin layers and helps killing acne bacteria and reducing the inflammation or sebum excess (skin oil) production that characterizes acne. It will take a series of treatments in order to kill the bacteria, as per severity phase. Immediately following treatment, you may experience some redness, depending on your customized treatment settings. The redness will usually disappear within a few hours. In most cases, makeup may be applied immediately, and daily activities can be resumed the very same day. The IPL (Intense Pulsed Light) is one of the most commonly administered form of light therapy in dermatological applications. IPL systems are designed to deliver many rapid, high intensity and controlled pulses of light. The controlled pulsing prevents thermal damage to your skin and minimizes discomfort. IPL technology allows to treat your acne with spe­cific wave­lengths of light which tar­get the bac­te­ria in the skin, as well as inflamed seba­ceous glands that con­tribute to break­outs. IPL energy at var­i­ous wave­lengths is also used to selec­tively destroy pig­ment clusters, blood-filled cap­il­lary veins, or hair, depend­ing on the intended nature of the treatment. Lumenis® IPL with Optimal Pulse Technology (OPT™) enables your clinician to customize the treatment according to your skin type and desired results. Light pulses penetrate the tissue and create heat, targeting the skin imperfection in a controlled manner. To ensure utmost comfort, your physician should apply cold coupling gel on the treatment area. Depending on your specific concern, you can expect the session to last 15-20 minutes. You may experience a warm sensation as the light is applied to the skin, but the treatment is gentle and should not feel uncomfortable.